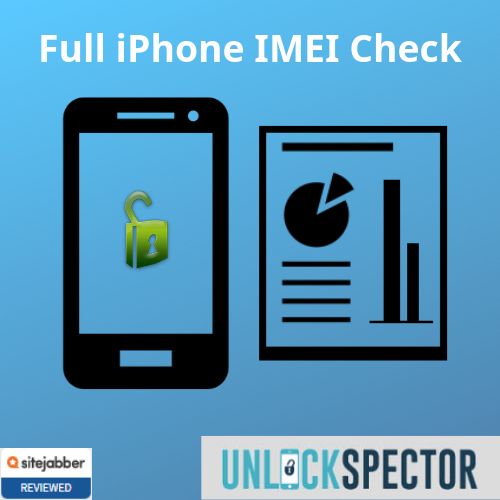 Our "Full iPhone IMEI Check" service includes SIM-Lock, Unblacklist & iCloud Removal recommendations. 100% secure, even if iPhone is blacklisted. 24/7 Customer Support with Unlock recommendations. Real Time & 100% accurate results. $24.99 per IMEI number (Save $23 / 50% OFF). Real Time Information and 100% accurate of our results. Find which Network/Carrier is locking your iPhone. 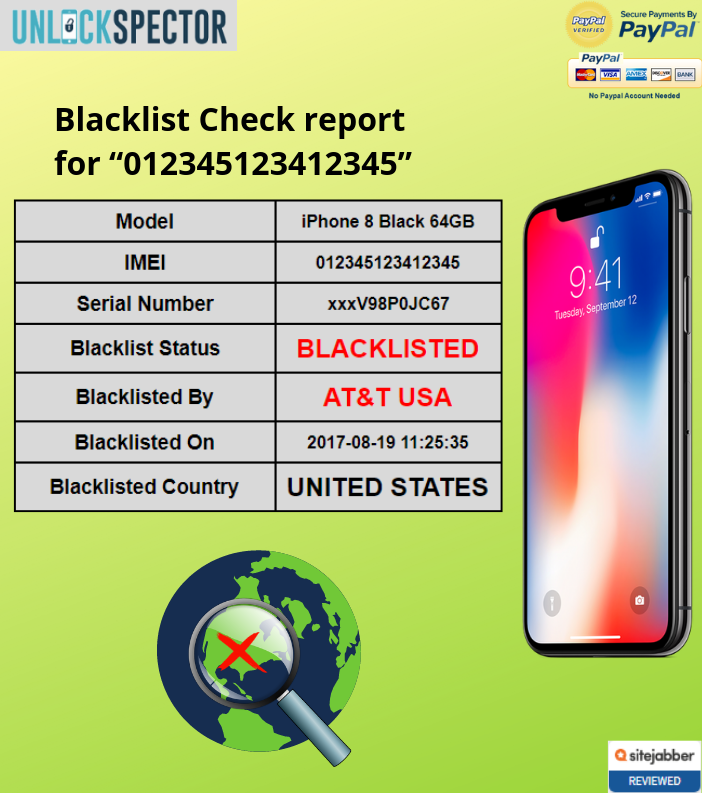 Find which Network/Carrier Blacklisted your iPhone. Get “Find My iPhone” status. 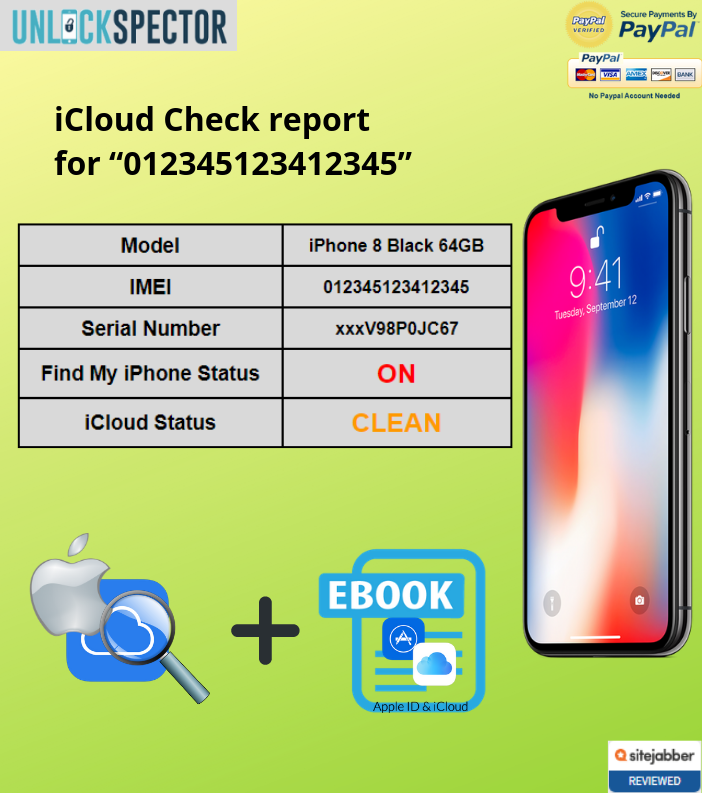 Get for FREE our “iCloud ByPass – 2019 edition” eBook. 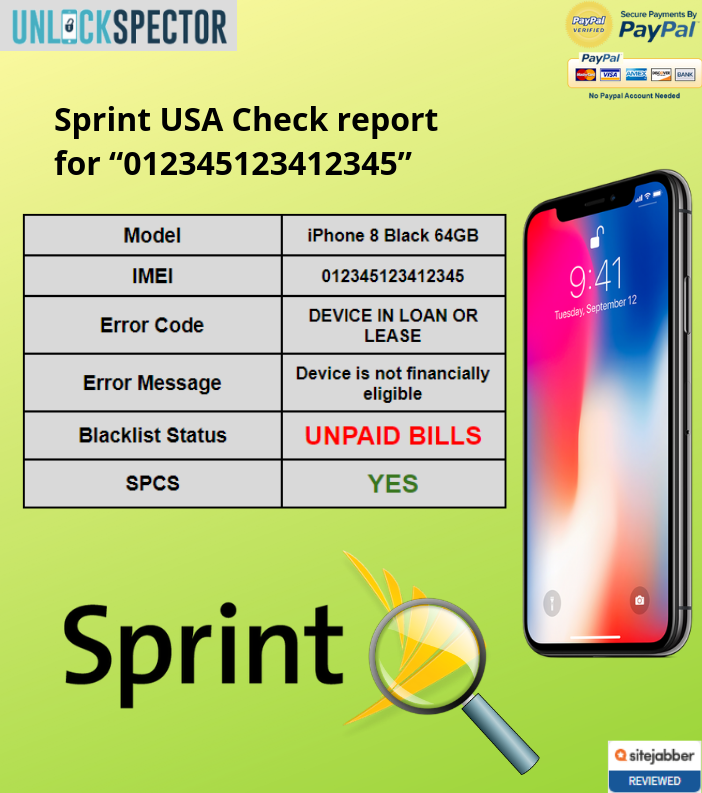 Find why your Sprint USA iPhone is Blacklisted (CLEAN, Lost, Stolen, Fraud or Unpaid Bills). Find SPCS status. If SPCS status is “Yes” then Cleaning solutions are available. 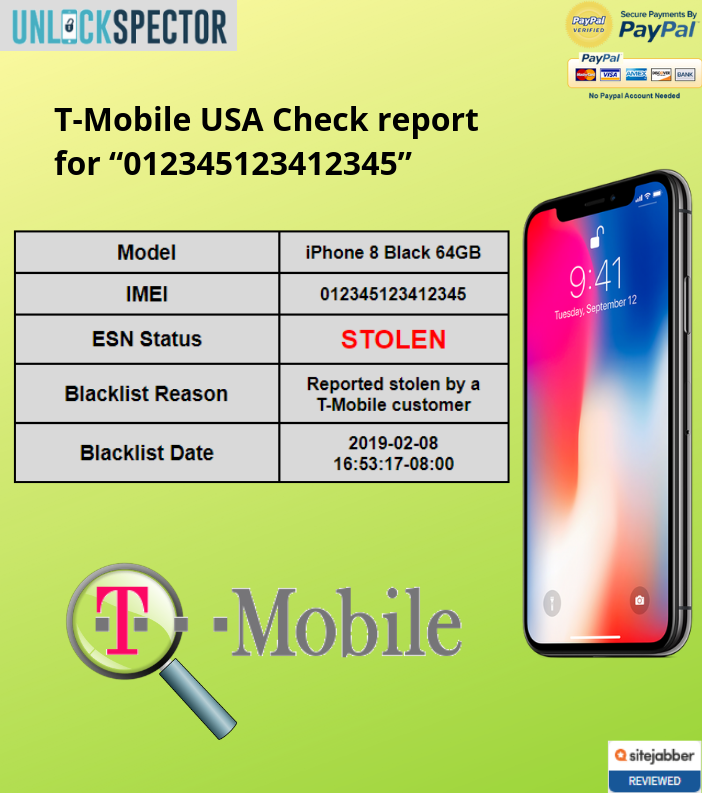 Find why your T-Mobile USA iPhone is Blacklisted (CLEAN, Lost, Stolen, Fraud or Unpaid Bills). 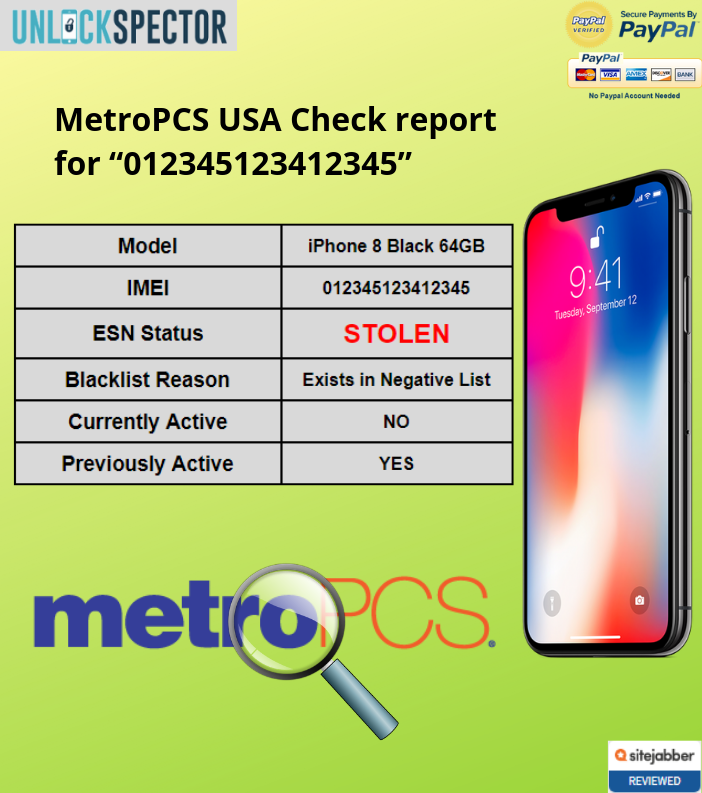 Find why your MetroPCS USA iPhone is Blacklisted (CLEAN, Lost, Stolen, Fraud or Unpaid Bills). 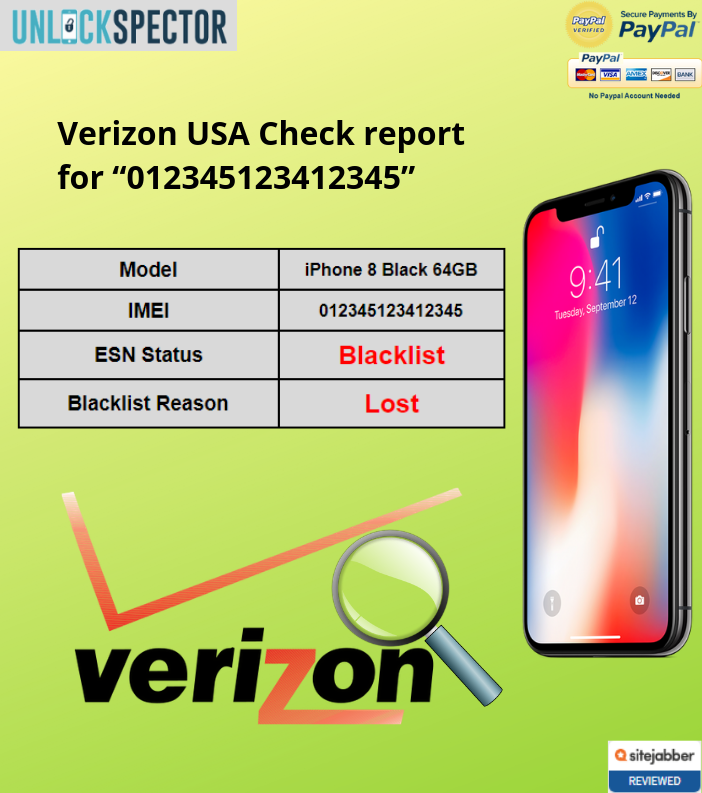 Find why your Verizon USA iPhone is Blacklisted (CLEAN, Lost, Stolen, Fraud or Unpaid Bills). 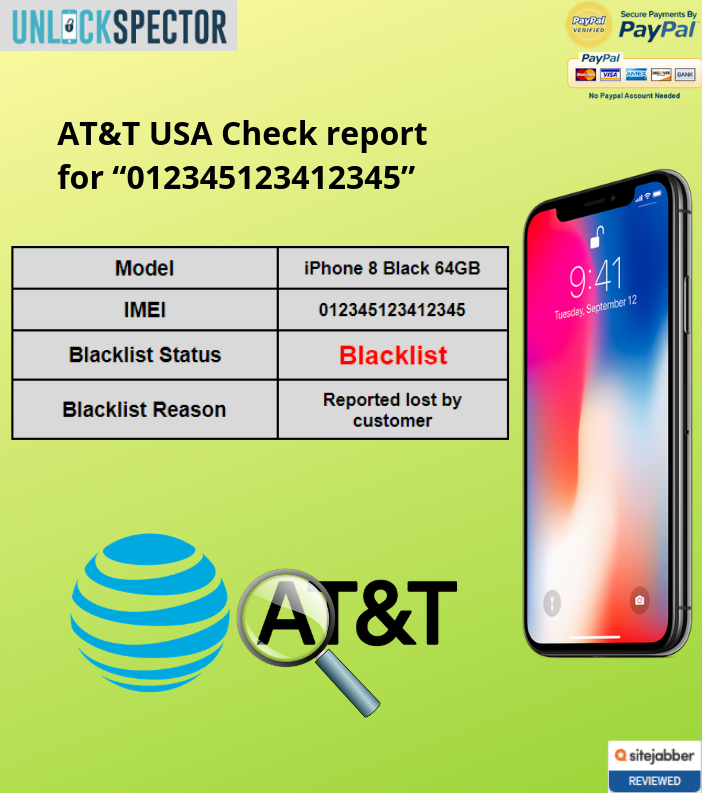 Find why your AT&T USA iPhone is Blacklisted (CLEAN, Under Contract, Active on Another Account, Lost, Stolen, Fraud or Unpaid Bills). Results delivered within 5 minutes to your email during business hours. 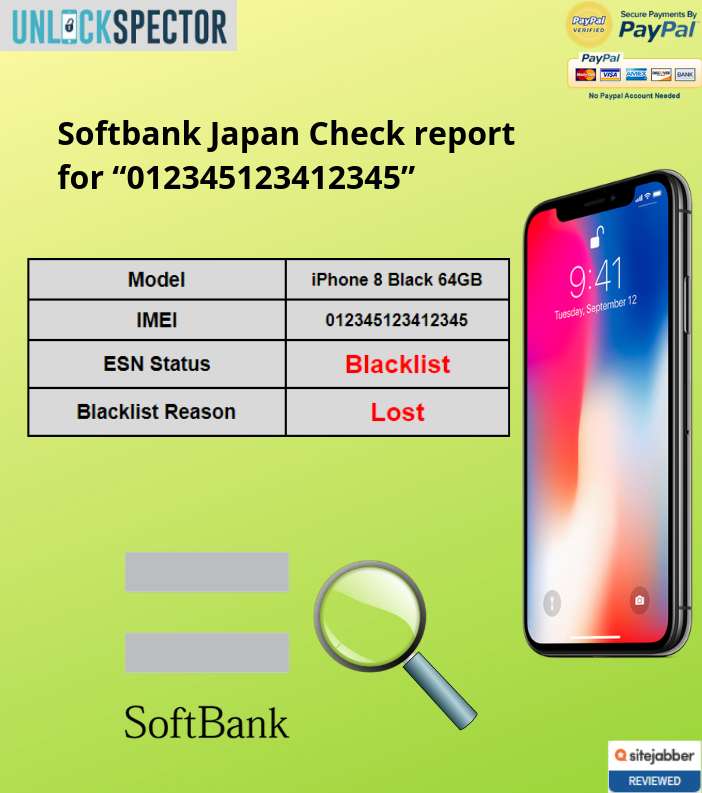 Find why your Softbank Japan iPhone is Blacklisted (CLEAN, Under Contract, Active on Another Account, Lost, Stolen, Fraud or Unpaid Bills). Instant Results to your email during business hours. 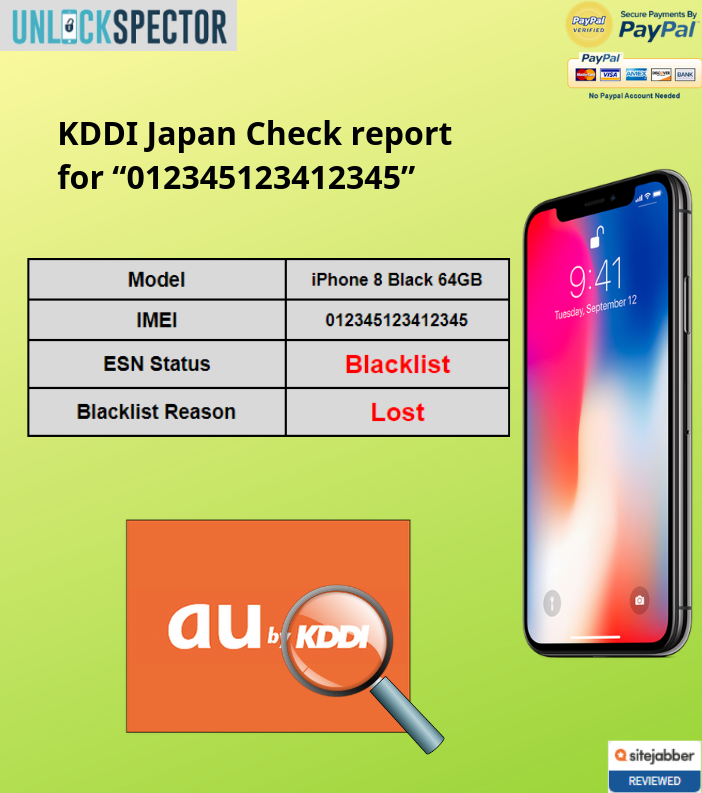 Find why your KDDI Japan iPhone is Blacklisted (CLEAN, Under Contract, Active on Another Account, Lost, Stolen, Fraud or Unpaid Bills). 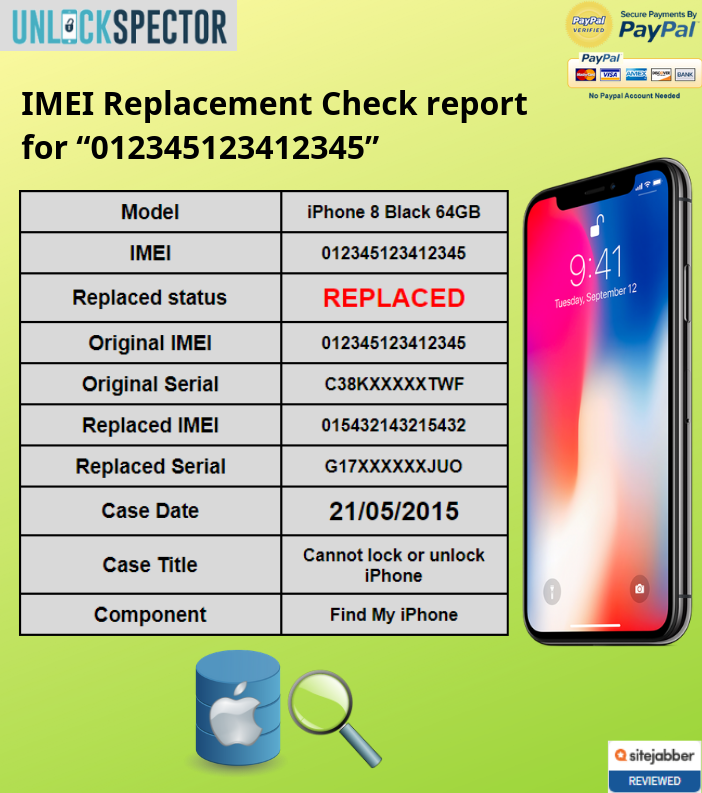 Find if your iPhone’s IMEI & Serial numbers have been replaced. 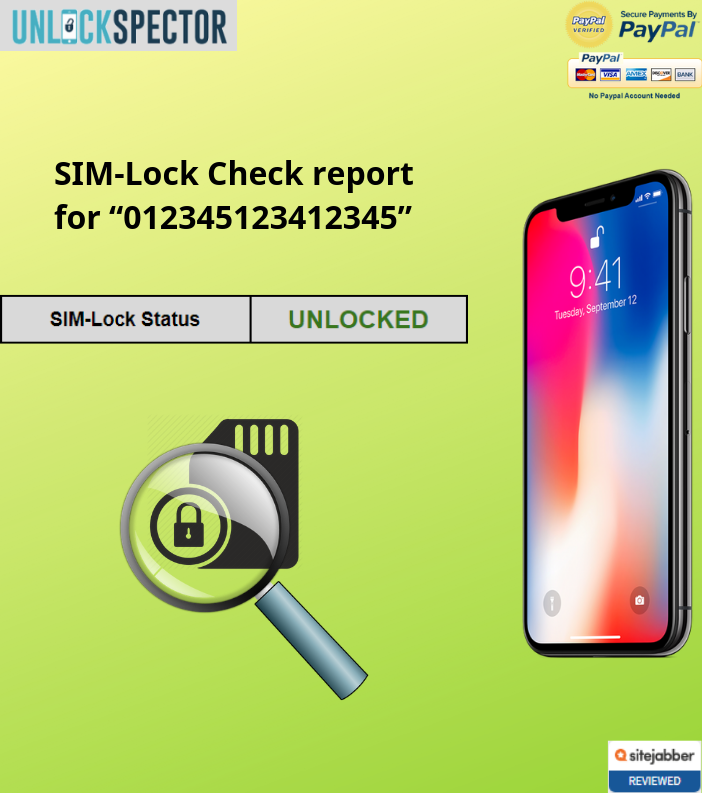 Find Original IMEI and Serial Numbers. 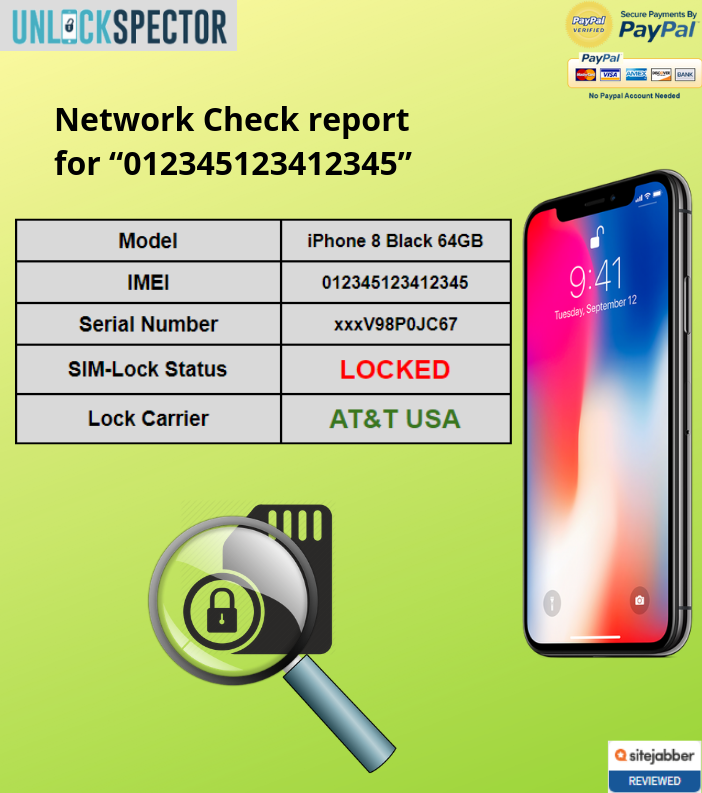 Find Replaced IMEI and Serial Numbers. Find full repair history of your iPhone. Results will be send within 16 hours to your email. We'll send order confirmation details & results to this address.